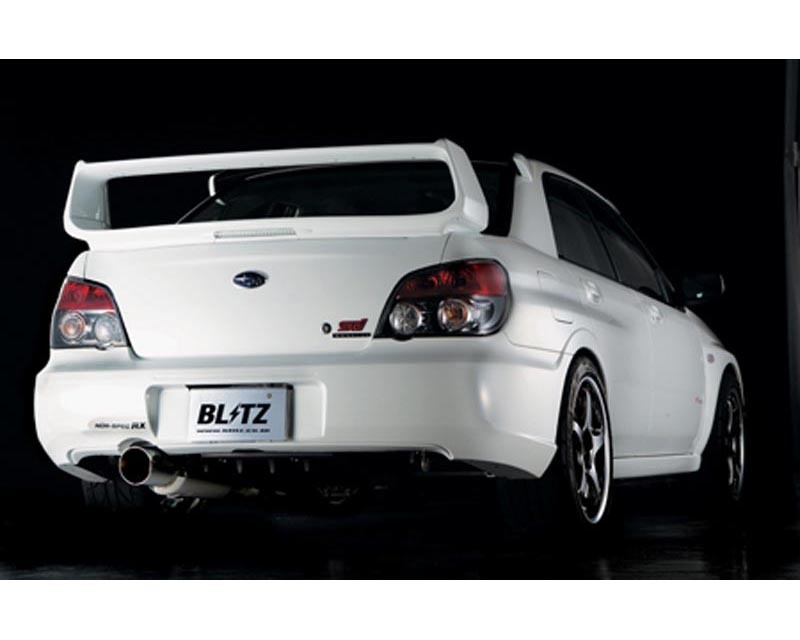 The BLITZ NUR - Spec Series exhaust systems are available as direct bolt-on replacements for OEM exhaust systems. Our exhaust reduces back pressure and thermal stress. This allows the engine to create more power and torque by breathing easier. By utilizing extensive computer controlled design, flow analysis, dyno testing, and precise fitment BLITZ exhaust systems produce maximum horsepower without dramatically reducing low-end torque. The quality of the BLITZ stainless steel exhausts is second to none. Rated as the highest quality, our exhausts perform as well as they look. Unlike conventional exhaust systems, BLITZ exhausts utilize a slanted mounting design which eliminates unnecessary bends. The specially designed muffler and large diameter mandrel bent piping has no reduction of inner diameter in bend areas. The constant piping diameter size allows for superior exhaust flow superior then compared to crush bent piping.The most impressive feature of our exhaust system is the quiet tone with the silencer on, and its aggressive tone with the silencer removed. Performance increases very by application (gains of 5 - 20 horsepower are average). BLITZ exhaust systems are designed for maximum performance, improved appearance, and an aggressive tone. The NUR - Spec R is a Catback system. This version has a removable silencer for road / track use. Because the full system removes the silencer, it produces a fairly loud, deep sporty note. Each BLITZ exhaust is flanged and comes complete with all gaskets and hardwear. Providing the easiest bolt-on installation possible. All BLITZ exhaust systems utilize factory mounting points and hangar locations. A fine balance of looks, power, and durability has been achieved through full stainless steel construction finished in a show quality shine.